simplife is now available online! 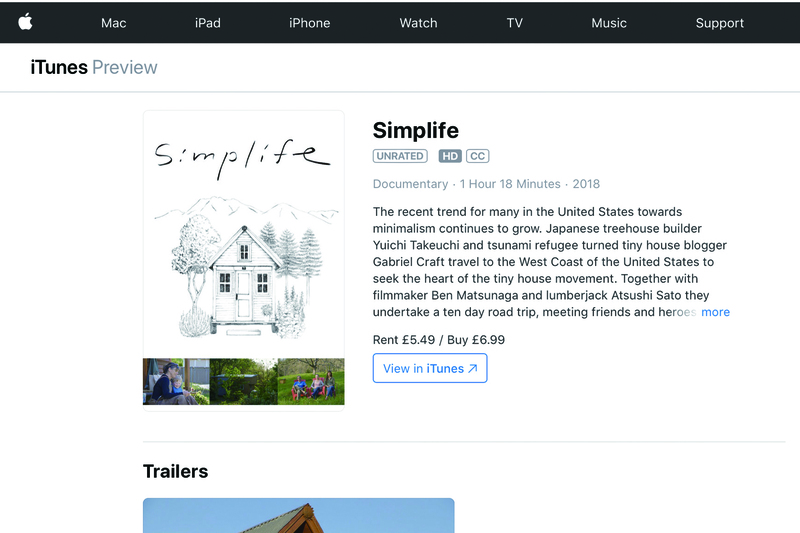 Tiny house road movie ‘simplife’ is now on iTunes and Amazon for 60 English speaking countries. Not for the other languages yet, but check this link below. There’s no Japanese subtitles and you can decide to “buy” or “rent”.